Prince Avondale is located at 965 Nottingham Drive, Avondale Estates, GA 30032, near the inters﻿ection of Memorial Drive and Covington Highway, and less than one half-mile from the Kensington MARTA station in Avondale. 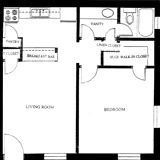 Prince Avondale offers one- and two-bedroom apartment homes in a residential community convenient to MARTA rail. 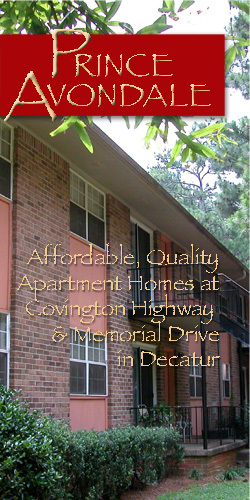 Call 404-501-0556 for leasing information. 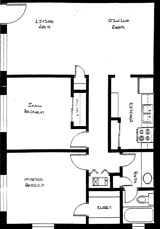 One and two bedroom floor plans available.